Sometimes all we want to wear come wintertime are cozy, comfortable leggings. But many can be slightly too thin to withstand the frigid temps and blistering wind. Enter: warm leggings designed in weighty fabrics like wool and fleece. Once you slip into a pair, you'll question ever reaching for your jeans during the cold-weather months. To help you narrow down your search for the best warm leggings on the market, we cherrypicked 25 of our favorites. They're all versatile, certain to keep your legs toasty, and most importantly, they're comfortable. Intrigued? Read on to see and shop our edit ahead. These are so sleek you can wear them to work. The high-waisted cut is great to pair with your favorite cropped sweaters. These comfortable and warm leggings also come in a navy ooption. This wool-and-silk pair will keep your legs so toasty. 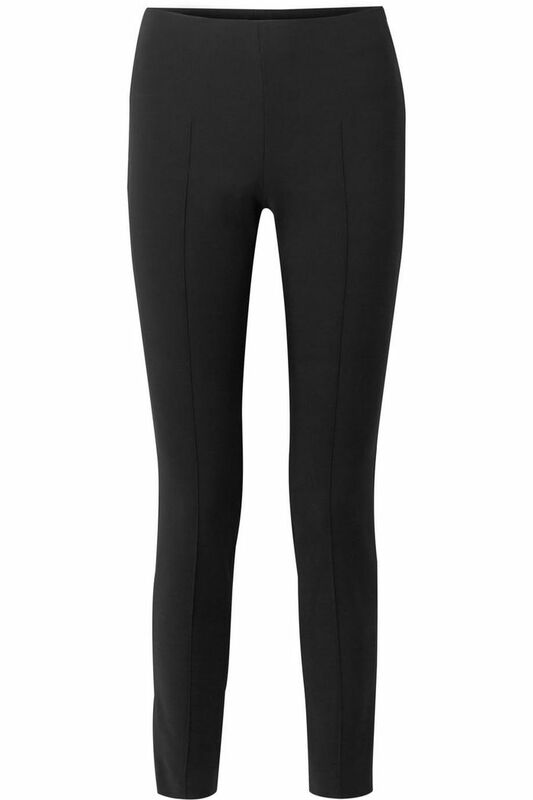 These simple black leggings have a brushed, fleecy interior. Faux-fur lined leggings? Yes, please. These are designed to withstand even the coldest temperatures. These are warm and moisture-wicking. These are made from breathable fabric that regulates your body temperature in cold climates. Check the side stripe on these leggings. The perfect pop of color. You can never have too many classic black leggings. With a name like this, you know they must be good for the cold-weather months. How cool is this pattern? Super-soft leggings you can wear to gym as well as to brunch. Style these with your favorite oversize knit sweater. One reviewer says these are her "favorite thermal tights." Another pair rendered in merino wool. The two-tone detailing elevates this simple black pair. Next up, check out our favorite leggings outfits perfect for fall and winter.